Late Sunday evening, hundreds of illegal aliens attempted to rush the United States-Mexico border, something they talked about a few days ago. What the caravan riders didn't expect, however, was the Border Patrol utilizing tear gas to keep them from successfully crossing into the United States. Roughly 500 caravan riders rushed past a barricade created by Mexican officials. They then went to rush the border, at which point the Border Patrol deployed tear gas to protect agents. "After being prevented from entering the port of entry, some of these migrants attempted to breach legacy fence infrastructure along the border and sought to harm CBP personnel by throwing projectiles at them," Secretary of Homeland Security Kirstjen Nielsen said in a statement. "DHS will not tolerate this type of lawlessness and will not hesitate to shut down ports of entry for security and public safety reasons. We will also seek to prosecute to the fullest extent of the law anyone who destroys federal property, endangers our front-line operators, or violates our nation's sovereignty." 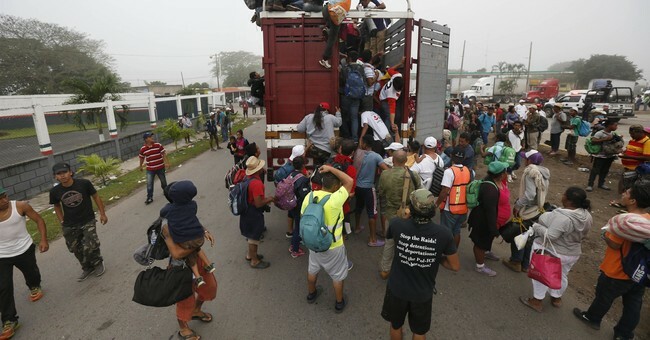 Mexico’s Interior Ministry said they would immediately deport those caravan riders who rushed the border. During this ordeal, the San Ysidro Port of Entry, located near San Diego, was at a stand still. It is said to be the busiest port of entry in the Western Hemisphere, CNN reported. While people on both sides of the political aisle began to debate the issue, Breitbart's Brandon Darby, who has long covered border issues, reminded Americans of one important note: President Obama used a similar tactic back in 2013.